South West Coast Path: Instow to Westward Ho! The South West Coast Path is a 630 mile walk around the coast of SW England, from Minehead in Somerset to Poole in Dorset. As soon as I heard about it, when planning my current trip, I resolved to hike a couple of legs. Today the plan was to hike from Westward Ho! in north Devon to the picturesque village of Clovelly. However, we left it too late to arrange our luggage transfer, so we had to delay that a day, leaving a day up our sleeve. With our extra day, we decided this morning to catch a local bus to Instow, the start of the previous leg according to some guidebooks, and walk the 18km back to Westward Ho! in the interests of ‘training’. It is described as an easy leg, and we might as well have been walking as not. The walk mostly follows the estuary of the River Torridge, down and back, so we had views of our destination for most of the day. 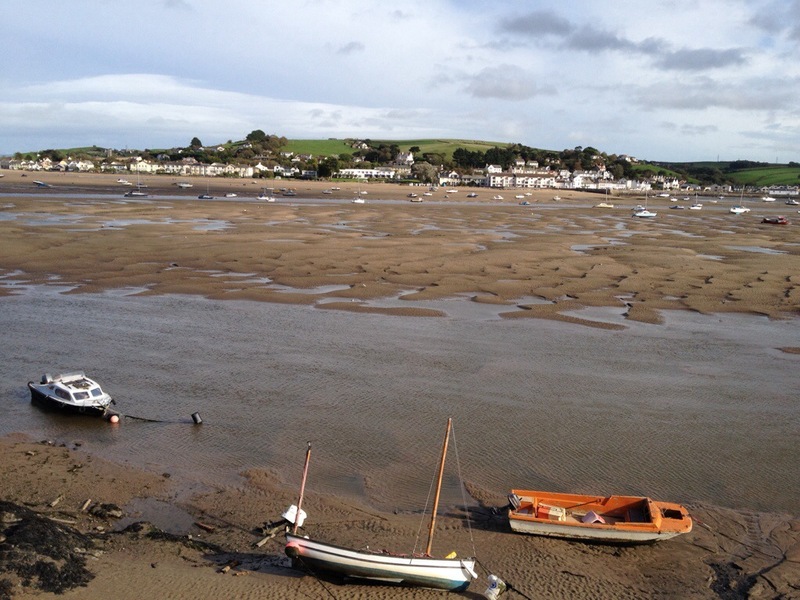 We began in the hamlet (not even a village) of Instow — where there is nonetheless coffee — and a pretty view of Appledore. The walk from here follows an old rail trail, shared with cyclists — which I dislike intensely. It was long and straight and flat, and I thought there was much to be said for the high-tide ferry between Instow and Appledore. But then we would have missed Bideford, which is a pretty little port town with all the amenities, including banks. 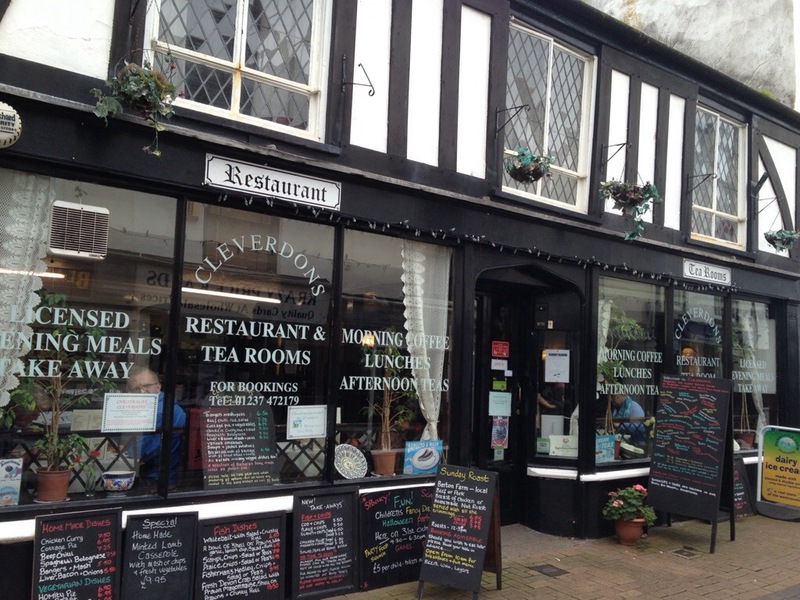 Little was open on a Sunday, but I can recommend historical Cleverdons Restaurant and Tea Rooms for a range of meals, both light and more substantial. We both had soup (choice of several) for just 3.25. Bideford marks the turnaround point, and we headed back downriver towards the sea and Appledore. The track here got much more interesting, but I still think the ferry a good option if it’s high tide. Low tide is very interesting, though, as the river estuary is essentially a massive mud flat with beached boats. This is the view back to Instow from near Appledore. The village of Appledore was the highlight of this leg. It’s largely 16thC: narrow twisty laneways, old houses with interesting name plates, gorgeousness plus. 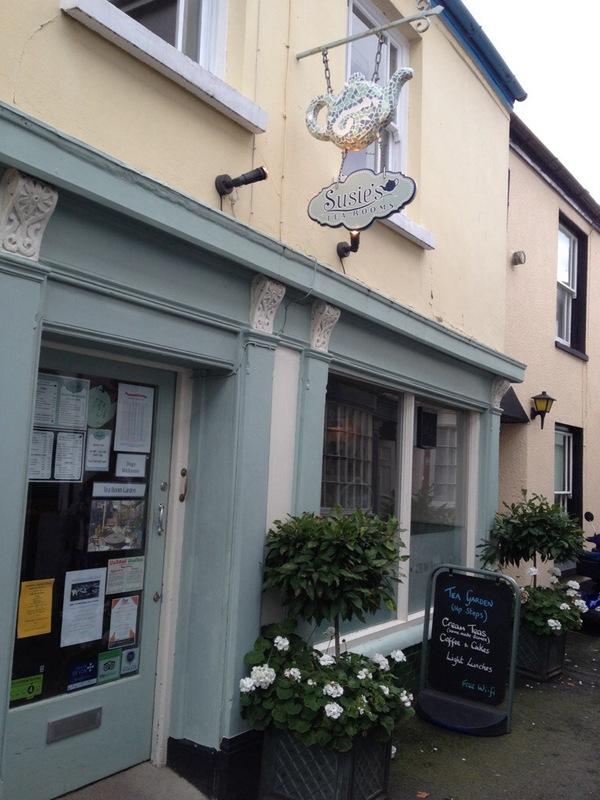 We had promised ourselves a cream tea, and found the perfect spot in Susie’s Tea Rooms. We had been walking for about 2.25h up until this point (1h Instow to Bideford, 1.25h Bideford to Appledore), and judged we had about 1.5h to go from Appledore the long/coastal way to Westward Ho!. As the crow flies, they are quite close, but the coast path takes you out around Northam Burrows Country Park, which feels a little, er, pointless at times. Nonetheless, we ploughed on around the point, and battled a ridiculous headwind on the approach to Westward Ho! along the beach. It took a little longer than expected. 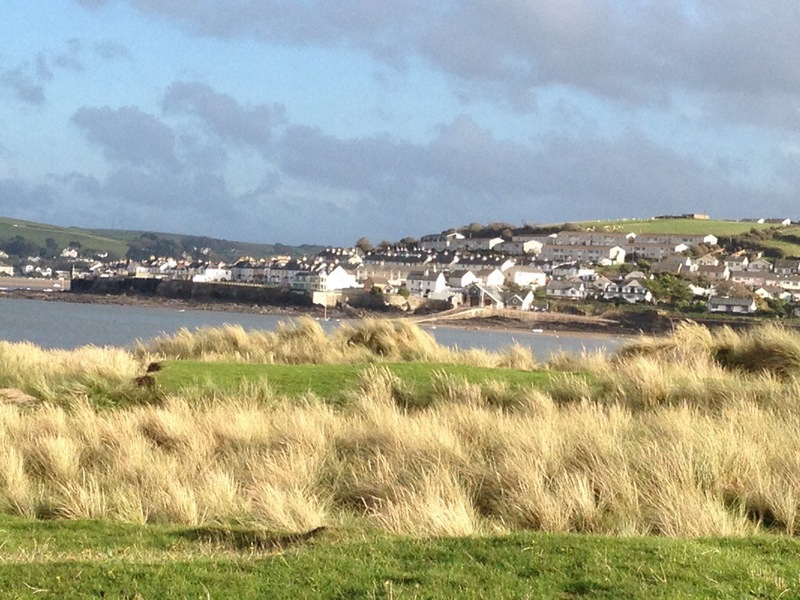 We did, however, enjoy this stunning view of Appledore in the late afternoon sun. Westward Ho! itself is a new village, filled with holiday accommodation and surfers. Our B&B — Brockenhurst B&B — is very nice and centrally located, right opposite The Village Inn Hotel, where I am currently enjoying a quiet one while I use their WiFi. It’s fine and comfortable, but not in any way historic, which I have come to expect from England. We are staying here a second night, and tomorrow it’s on to Clovelly! Appledore, Bideford, culture, Devon, Ellen Gregory, England, hiking, Instow to Westward Ho!, South West Coast Path, travel, UK, walking, Westward Ho! Sounds like a great walk challenge with lots of interesting sights and photo ops. Enjoy. 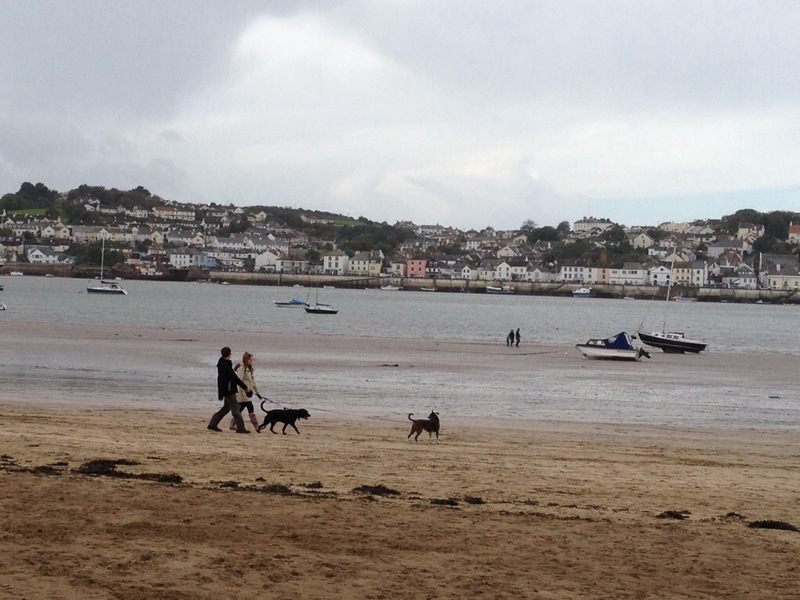 Interesting blog post about a walk from Instow to Westward Ho! I love that you’re measuring how much you like a town by whether or not it has coffee and tea. I would totally be doing the same thing. The tips you’re inserting are a great idea as I also love travel tips from those who have traveled there.